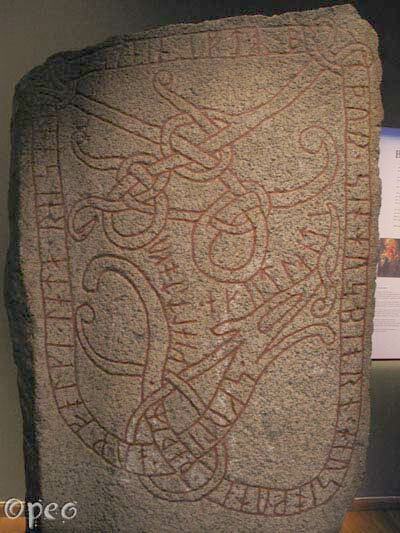 Una/Unna had this stone raised in memory of his son Eysteinn who died in christening robes. May God help his soul. 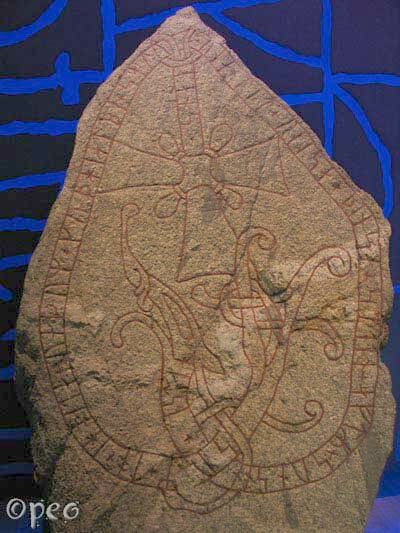 Two beautiful rune stones, that are in a very good shape. Skúli and Folki have raised this stone in memory of their brother Húsbjôrn. He was sick abroad when they took payment on Gotland.